Tim Cook. The Necessary War: Canadians Fighting the Second World War 1939–1943, Volume One. Toronto: Penguin Canada Books Inc., 2014. Pp. 520. Tim Cook. Fight to the Finish: Canadians in the Second World War 1944–1945, Volume Two. Toronto: Penguin Canada Books Inc., 2015. Pp. 570. Tim Cook needs no introduction. Officially, he is the Great War Historian at the Canadian War Museum, an adjunct professor at Carleton University, and a member of the Order of Canada. Unofficially, he is one of Canada’s leading military historians and a sought-after commentator on the First and Second World Wars. His voluminous contribution to the field of war and society has resulted in a number of well-deserved literary awards, including the J.W. Dafoe Prize for his first volume on the Great War, At the Sharp End, and the Charles Taylor Prize for his second volume, Shock Troops. The Necessary War, the first volume of his impressive two-part series on the Second World War, reviewed here, earned Cook his second Charles P. Stacey Award for a distinguished contribution to the study of conflict and society in Canada. I could go on, but what of the review? How does Cook marshal his knowledge as a historian and ability as a writer to tackle the daunting task of synthesising Canada’s Second World War into two books? Do not expect to read a definitive or all-encompassing history of the Canadian experience in the Second World War. As Cook explains in the introduction to the first volume, he intended primarily to write about the Canadian combat experience. Both books provide a detailed and sobering history of Canadians fighting on the ground, at sea, and in the air. Cook combines narrative prose with the skills and purpose of a trained historian. He covers the politics of high-level decision-making and explains the many difficult but necessary choices made by the individuals who fought for Canada, including government and military officials as well as the soldiers, sailors, and aviators who carried out their orders. In Volume One Cook sets the scene with a discussion of the interwar years. He contextualises the origins of the Second World War by explaining the German position post-Great War and Hitler’s rise to power. His analysis of Canada is attentive to cultural differences of the period. He does well to explain, for instance, popular attitudes among English- and French-speaking Canadians toward the possibility of supporting Britain in another major war. With the conscription issue and horrors of the Great War relatively fresh in the minds of many Canadians, including Prime Minister William Lyon Mackenzie King, the question of support for another large-scale European conflict represented a terrifying prospect, to say the least. Cook carefully navigates this history with a heightened awareness to perspective and detail, an approach worth emulating by other scholars in the field. The circumstances of Canada’s entry into the Second World War differed from those of twenty-five years prior when the Dominion entered the Great War under the guidance of Britain. The 1931 Statute of Westminster confirmed Canada as a self-governing nation in the British Commonwealth. With complete control over its own foreign policy, King’s government called on Parliament to decide whether Canada should go to war. The prime minister skillfully urged his cabinet to support Britain while calming the Québec wing of his party, according to Cook (vol. 1, p. 24). For those Canadians who were uncommitted, King’s government spoke of the war in voluntary terms and promised not to introduce conscription—a promise later rescinded, as Cook explains in Volume Two. Yet beyond Canada’s deep ties to the British Empire, Canadians of all political stripes supported the war to defend Western values and liberal democracy. Hitler represented an evil force that threatened Britain and Europe, and Canadians galvanised around the multinational effort in support of a shared cause. As Cook suggests with his first title, the Second World War was a necessary call to arms. The author stays true to this mantra throughout both volumes, and there is certainly no mistaking his position. 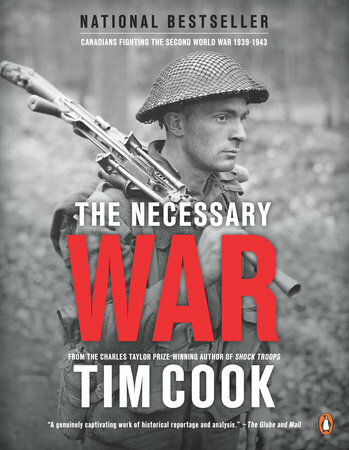 To accept the necessity of the Second World War in the hearts and minds of Canadians is, Cook argues, essential to understanding and reconstructing the combat experience. His detailed analytical approach stresses a much more complicated history, however. The history covered here belies simplicity. 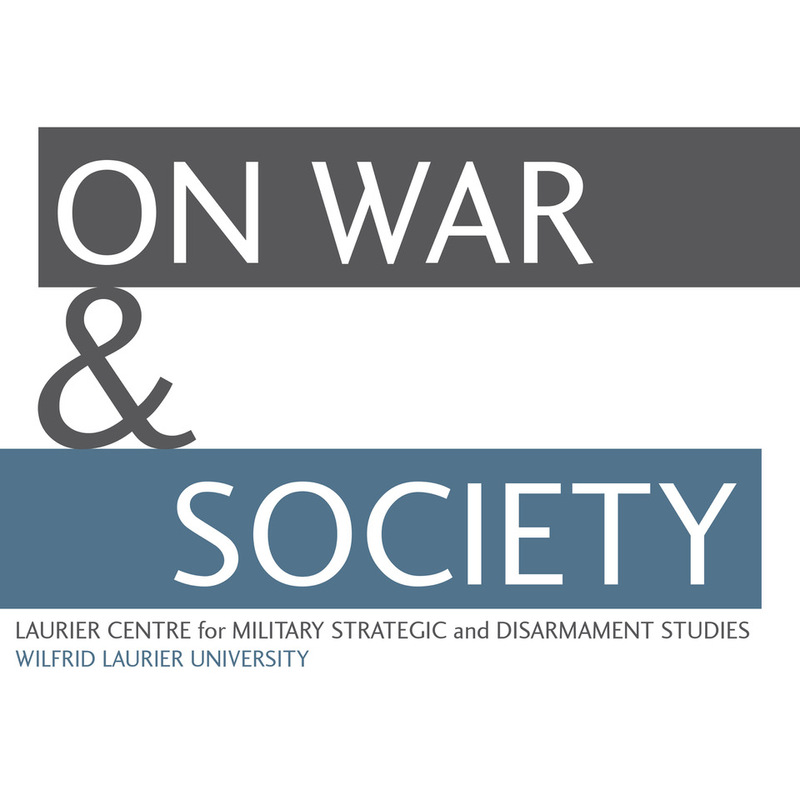 We learn about public and political reluctance toward Canada’s involvement in the war, as well as questions concerning the actual deployment of Canadians overseas. The process of historicising war is perhaps most difficult when we consider human responses to war. 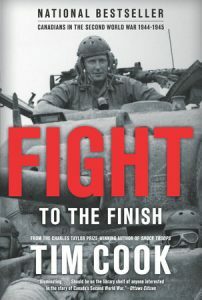 In Cook’s own words, “Body-immobilizing terror and even cowardice are part of the Canadian war effort, no less than jaw-dropping heroics and tear-inducing sacrifice” (vol. 1, p. 6). Cook handles this predicament with care, equally broaching the entire combat experience with precision, respect, and humility. He strives for objectivity in his work, and his impartial style makes for a compelling and educational read. Cook is at odds with scholarship on the Second World War that suggests the Allied military forces merely overwhelmed the fighting formations and capabilities of the Axis Powers. While the material superiority of the Allied forces was central to the war effort, especially after the industrial and economic boost resulting from the entry of the United States into the conflict, victory against Germany and its co-belligerents was not a forgone conclusion. Nor did Canadians believe so, according to Cook. The author relies on a variety of sources to support his argument, weaving an intricate and captivating account of Canadians at war. He draws on archival documents, soldiers’ letters, journal entries, oral history interviews, and a deep reading of the existing secondary literature to inform his reader about both the battlefield and the home front. Volume One covers the first two-thirds of the war up to the Italian campaign. Cook analyses the fall of France, the effort to save Hong Kong, the grueling Battle of the Atlantic, the perilous but necessary air war over Germany, and the “Day of Destruction” at Dieppe. By the July 1943 landings at Pachino on the southern tip of Sicily, Canadians had experienced a range of successes and failures. Volume Two picks up where the first left off, closely following the Canadians at Juno Beach on D-Day to their importance in the Battle of the Scheldt. Cook’s style is immersive. 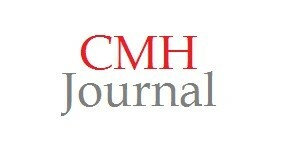 He uses his sources to recreate the combat experience for the reader, awakening the senses through first-hand accounts. We read about the isolated gunner in a Lancaster bomber, the nerve-racking life of the submariner during winter on the North Atlantic, and the soldier combatting excruciating heat and mountainous terrain in Italy with waterlogged gear and a Lee-Enfield rifle. While military tactics, operations, and weapons receive the bulk of examination, Cook’s analysis also sheds light on soldier morale and discipline, wartime medical practices, and the complicated issue of traumatisation. The result is an inclusive history, which, while focused on combat, provides a detailed picture of the war and its human impact. Cook’s mastery of his subject, oddly enough, opens his work to minor criticism. At times, he introduces interesting topics about the Canadian wartime experience that leave the reader wanting more information. Despite his introductory statement about equally exploring heroism and cowardice in the Canadian war effort, both volumes favour tenacity, strength, intelligence, and bravery on the part of the Canadians who served. Cook offers a wide appraisal of the combat experience, but his work seems slightly less balanced than he had intended. Indicative of the author’s argument about the overall effectiveness of Canada’s fighting forces, a subtle hint of national pride underpins this two-volume series. Readers most interested in the individual and collective social experience of war will find much to contemplate in the final two chapters of the second volume. Cook transitions from wartime to the postwar period with a chapter on veterans and reintegration, before appropriately ending his study with a perceptive reflection on memory and the Second World War. The author would be the first to admit that both topics require a scholar’s full and independent attention elsewhere, but his work would be incomplete if not for an engagement with the social dimensions that underscore the human experience at war. No work of history is definitive, but Cook has set the bar high. The accessibility of his prose stands out the most. Both volumes will appeal to first-time readers and well-seasoned scholars of the Second World War. Cook’s ability to explore, explain, and question the past challenges the reader to engage with the war and its legacy. Whether political, economic, social, or cultural, the societal impact of war is undeniable. Read Cook and you will gain a deeper appreciation of the Canadian experience. Tim Cook, At the Sharp End: Canadians Fighting the Great War 1914–1916, Volume One (Toronto: Penguin Canada Books Inc., 2009). Tim Cook, Shock Troops: Canadians Fighting the Great War 1917–1918, Volume Two (Toronto: Penguin Canada Books Inc., 2009). Cook first received the Charles P. Stacey Award for No Place to Run: The Canadian Corps and Gas Warfare in the First World War (Vancouver: University of British Columbia Press, 2000).